Remarks: Upgraded Lakemont with Loft backing to Golf Course view. 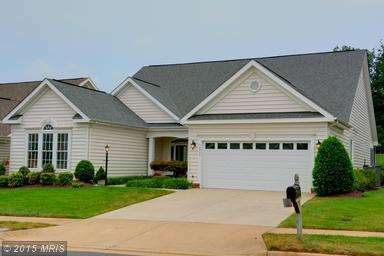 New hardwood flooring, new Duraceramic tile in Rear Solarium with flanking Screened Porch both with Fairway Views, new wall-to-wall carpeting, fresh paint throughout, new stainless steel appliances with counter depth refrigerator. Two story ceiling from foyer to living room, Vaulted ceilings in Master Bedroom & Family Room w/ loft overlook. Directions: I66 to Exit 43B, straight to Heathcote Blvd, Right on Heritage Hunt Drive, pull to left gate.and provide security with name, continue straight on Heritage Hunt Drive, Right on Fieldstone to home on left 13375 Fieldstone Way.